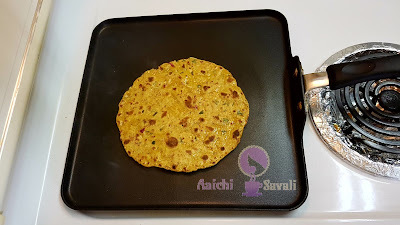 # Radish Paratha # Indian flatbread # Healthy Breakfast Recipe # Kids Friendly # whole wheat flour # Indian Spices #मुली का पराठा # मुळ्याचा पराठा. Today's Recipe is Radish Paratha! Radishes are healthy and contain many nutrients, but some kids don't like to eat it due to it's little bit pungent taste. So this radish paratha is kids friendly recipe, or it is the perfect recipe for growing kids as well as all the age group folks. 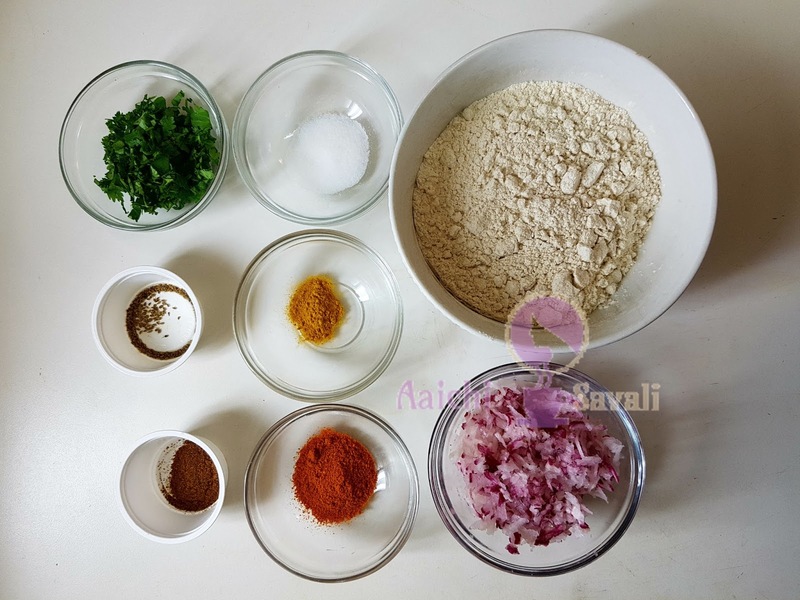 Today I have prepared radish paratha, by adding grated radish while making the dough itself, this is the easier and quicker than making parathas with stuffing. Radishes are a common part of the salad, and it is pungent or sweet taste with lots of juice. 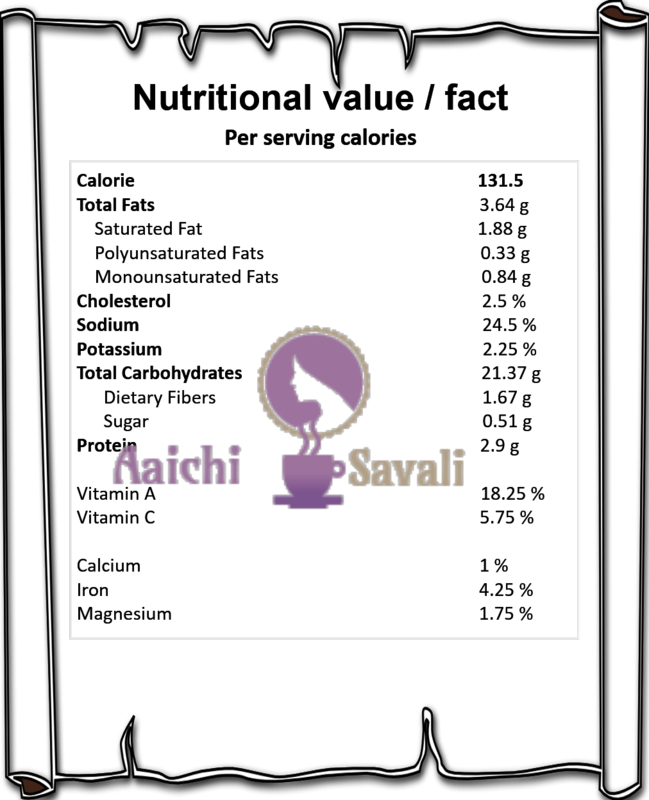 It can be different colors such as white, red, purple and different shapes. I used today purple and round radish to make parathas. You can use whichever available. They are eaten raw as a crunchy salad vegetable, curried or pickled too! So let's start. Each Paratha Carries 131.5 kcal. Butter / Veg. oil 1 tbsp for shallow frying. 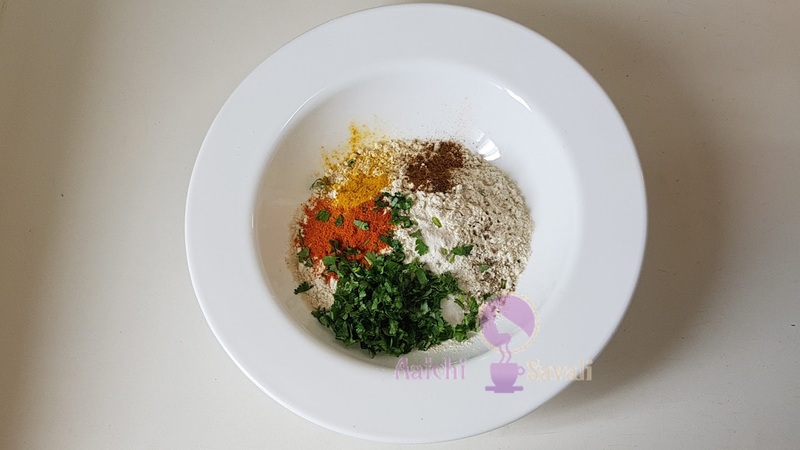 seeds, coriander leaves and mix all well. To the flour and spices mixture add grated radish and again mix well. Now, knead a soft dough by adding water and take few drops of oil over palms and again knead for 1 minute. Divide dough into equal portions and dusting flour roll each portion into circular shape. Here, tasty and healthy Radish Paratha is ready to serve. 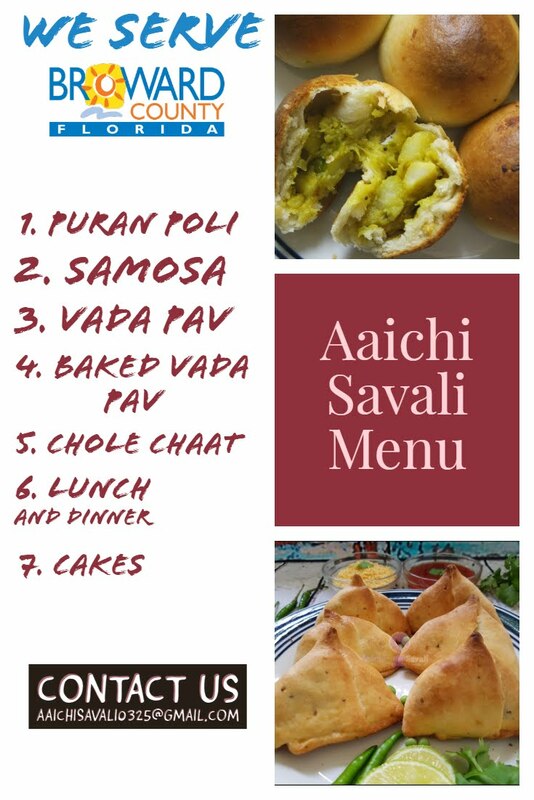 Serve hot with curd, raita or with pickle. Enjoy!!! Per serving contains 131.5 calories, along with carbohydrates - 21.37 g, dietary fibers - 1.67 g, fats - 3.64 g, proteins - 2.9 g. As it is good source of vitamins and minerals, it contains Vit.A -18.25 %, Vit.C -5.75 %, Iron - 4.25 %. High dietary fiber : The fiber content adds to the amount of roughage you need in your diet and keeps you feeling full for longer. Radishes are rich in dietary fiber content. This high percentage helps improve the body’s ability to digest food and also keep the metabolism at the right pace. Weight loss : Consumption of radish helps to avoid excess calories and fat accumulation in the body. Well, the high water content of radish and the presence of non-digestible carbohydrates make them beneficial. Boost Immunity : It has Antimicrobial and Antibacterial properties that help us cure a lot of diseases. Radishes contain antioxidants these antioxidants protect the body against oxidation reactions and by-products which may be cancerous or make the body prone to diseases. Vitamin and Minerals : Vitamins that are present in radishes helps to prevent skin disorders to a great extent. Iron available in radishes has positive effects on blood and hence, on the overall function of the heart. Iron helps to maintain healthy cells, skin, hair and nails. they play an important role in the body’s metabolism. Minerals also acts as oxygen carriers, pregnancy nutrients, and blood sugar controllers. Hair care : Radishes helps to eliminates dandruff, radish juice is also helps shine to your hair. Iron, found in radish, is essential for maintaining healthy hair. It helps improve the overall texture and health of your hair. Regular consumption of radishes makes your roots stronger and your scalp healthier. Digestion : Radishes are known to promote the production of bile. Bile is one of the most important parts of good digestion, and also helps to protect both the liver and the gallbladder. 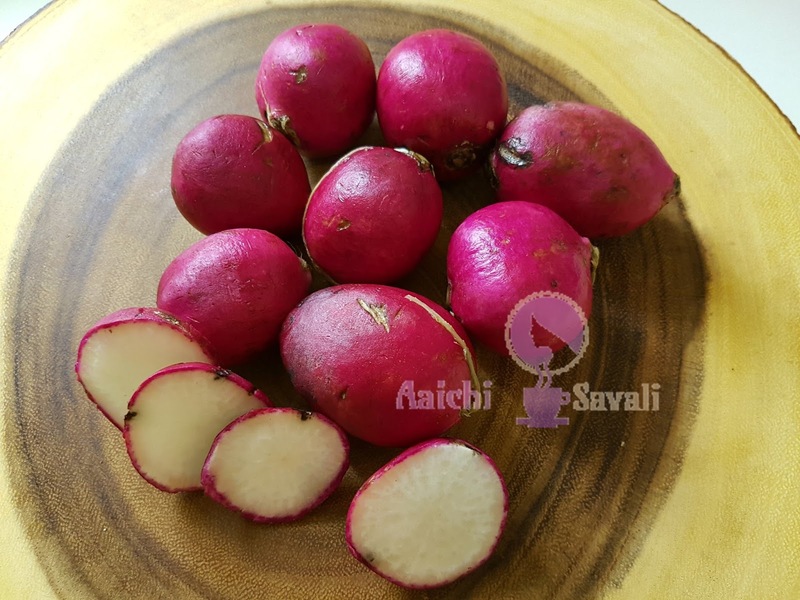 Radishes are very high in fiber, that helps in bowel movements, which promotes regular excretory patterns and relieve symptoms of constipation. Heart : Radishes are good source of potassium, which helps in reducing blood pressure. It reduces the blood pressure by widening the flow of the blood, instead of forcing it through narrow, constricted channels. Including radishes in your meal plan will help you as a good appetizer, mouth and breath freshener, laxative, and metabolism regulator. Radishes are a good treatment for headaches, acidity, constipation, nausea, obesity, sore throat, whooping cough, gastric problems, gallstones, and dyspepsia. It is good to eat Radish Paratha for breakfast, lunch as well as for evening snack too! *You can prepare the radish paratha dough in advance and keep in an airtight container in refrigerator. *It taste superb when served with any Indian curry or raita or curd or pickle. *I have added red chilli powder, you can add green chillies too while making the dough. Hope you liked reading this Radish Paratha recipe and health benefits of Radish. Would like to hear your valuable comments. !